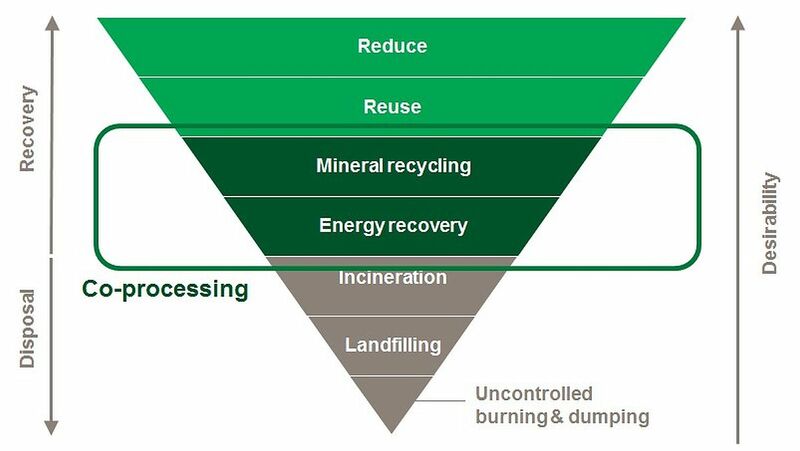 Geocycle activities fully embrace the countries waste regulatory framework and bid an industrial response that supports countries waste policy objectives, through recycling and energy recovery. European Commission strongly supports co-processing as a strong lever for climate change mitigation but also to implement circular economy by our contribution on waste mineral recycling and energy recovery. Discover more with some extracts from European Commission documents. In the Indian Hazardous and Other Waste Management Rules, 2016, the authorities have laid out provision that waste generators should prefer co-processing over other waste disposal options.